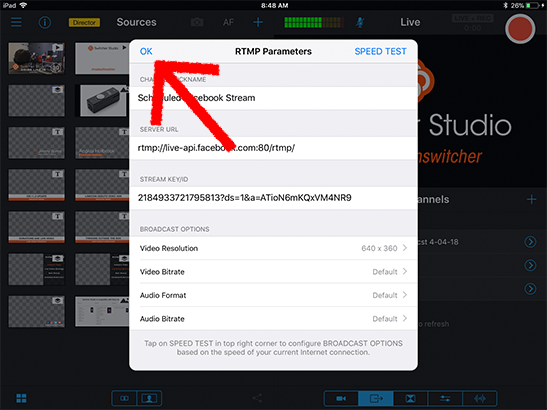 To create a Custom RTMP stream from within the Switcher Studio app, we first need to get RTMP values from your streaming destination. 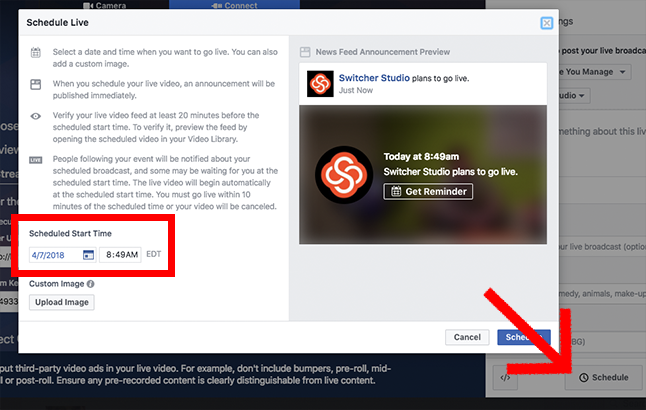 In this tutorial, we will be setting up a scheduled Facebook stream. 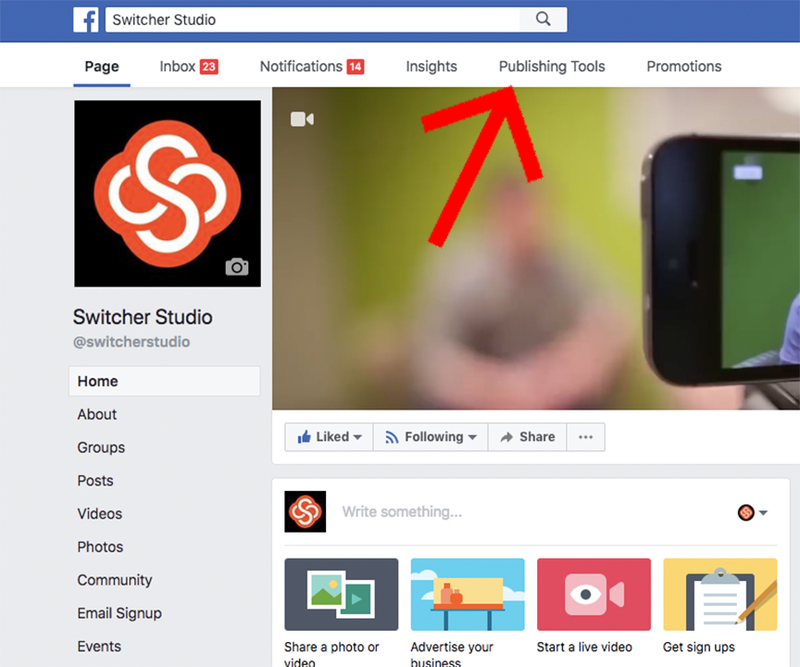 Start by going to the Facebook page to which you are looking to stream. 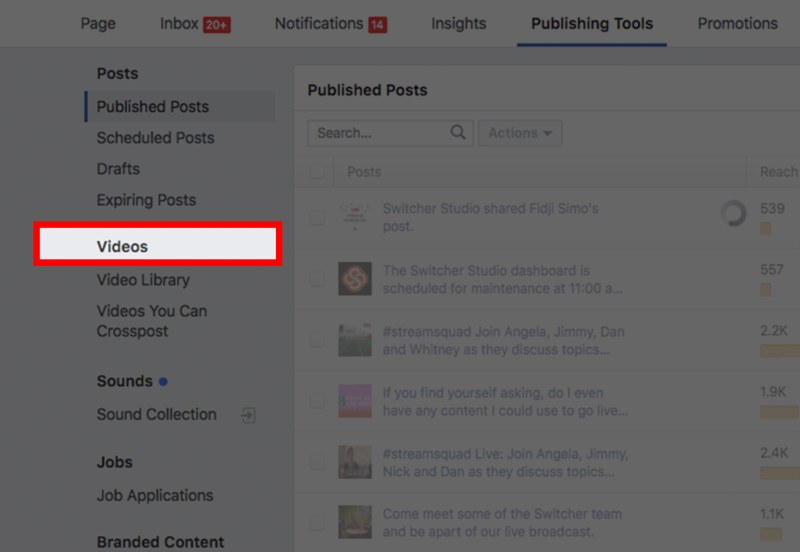 Towards the top, choose "Publishing Tools". Now, on the left-hand side, select "Videos". Click on "+ Live" towards the top-right. 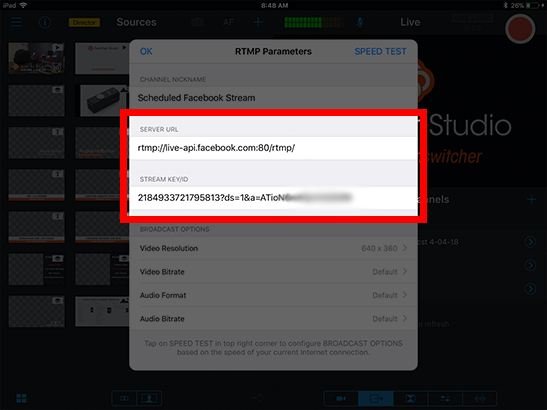 The "Server URL" and "Stream Key" are the values we need to bring into Switcher Studio. You will also need to click the "Schedule" button in the bottom right and choose the date and time you want to be live. 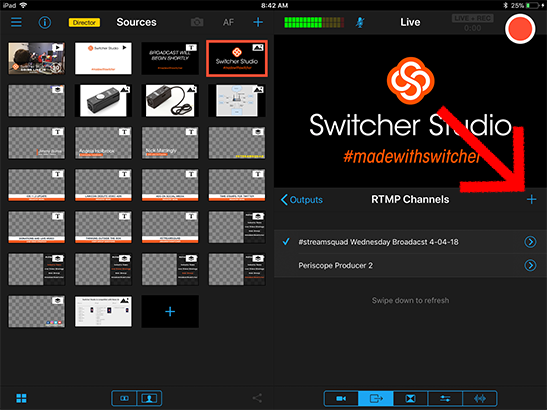 Now that we have our stream values, open the Switcher Studio app and from the Outputs tab, tap the blue arrow to the right of "Custom RTMP". 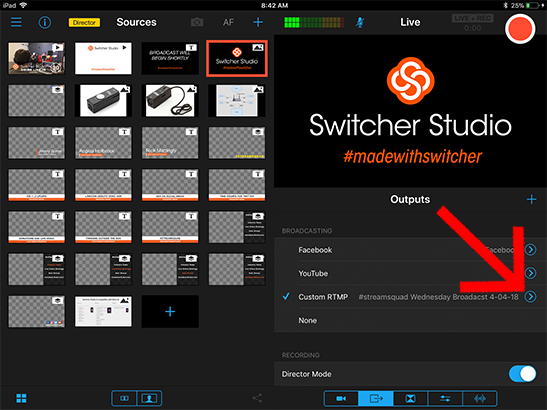 Now tap the plus icon on the right to create a new channel. After giving your channel a name, you will see the area to enter your Server URL and Stream Key/ID. Type in the values you got from Facebook. Double-check that you have entered all the information correctly. One wrong character will stop the stream from working. If you are unable to stream, this is the first thing to check. Once you have your settings setup, tap "OK" in the upper left. 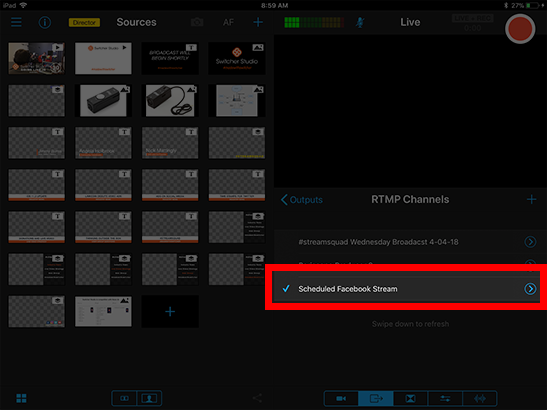 Navigate back to outputs and double check there is a checkmark next to "Custom RTMP" and that your stream name shows up. 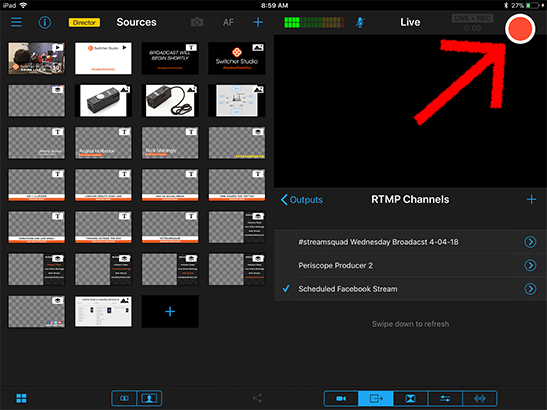 You are now ready to go live, tap the Go Live button in the top right!